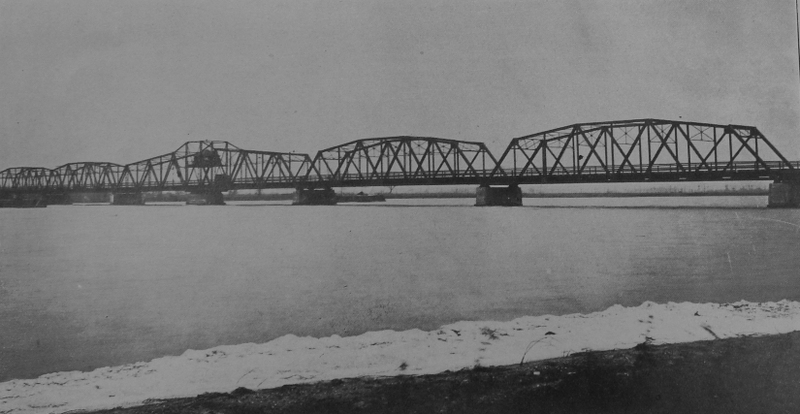 The Grosse Ile Toll Bridge was financed, designed and constructed between 1912 and 1913 by the Grosse Ile Bridge Company (GIBC). 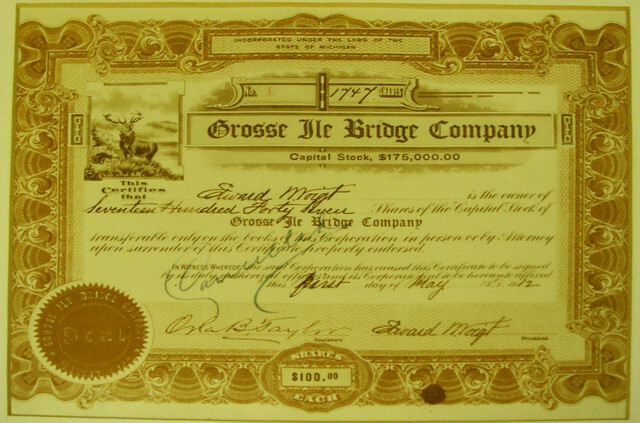 The GIBC was established as a Michigan corporation and bridge company on May 1, 1912, with Grosse Ile land owner Edward W. Voigt as its primary incorporator, majority stockholder and founding president. 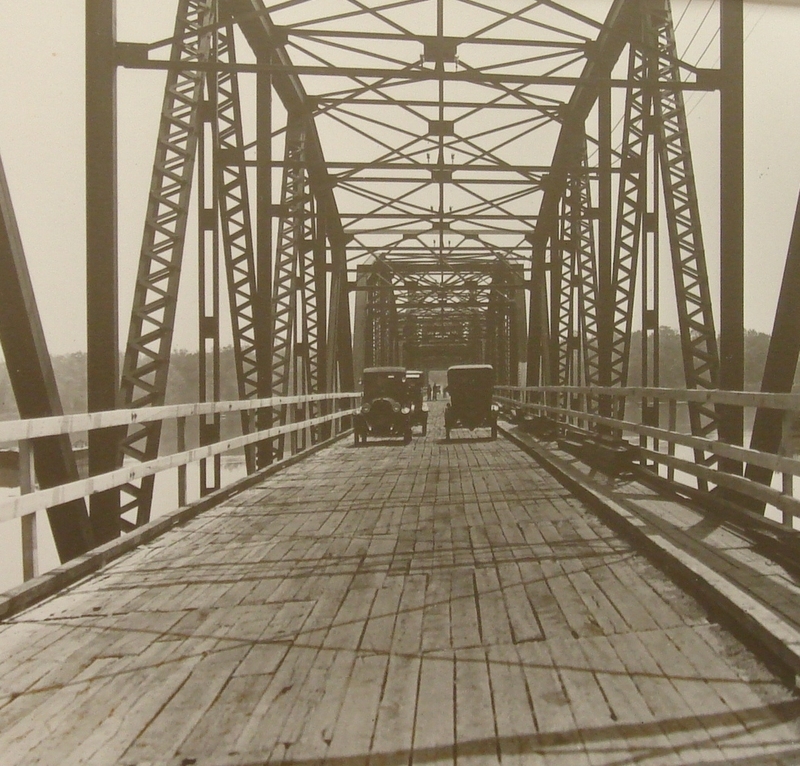 Voigt directed the construction of the Toll Bridge and opened the span to the general public on November 27, 1913 (Thanksgiving Day). 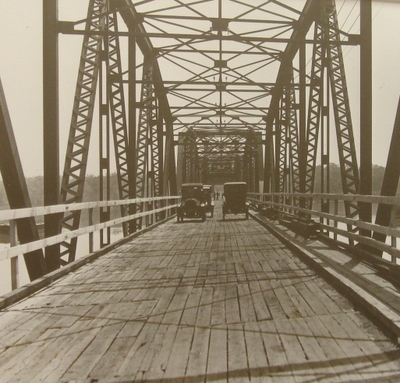 The Toll Bridge was the first automobile bridge to the island. 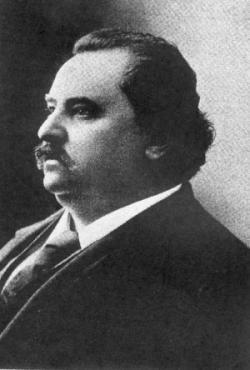 Voigt was a German immigrant who became a prominent Detroit-area businessman and entrepreneur. His business ventures included a railway, paper manufacturing plant, brewery and horse farm. In addition, Voigt helped to found the Edison Illuminating Company, a forerunner to Detroit Edison. Voigt possessed the majority of the land (approximately 400 acres) on the north end of Grosse Ile, where he owned and maintained the Island Home Stock Farm that raised the Percheron horses used to pull his brewery’s beer wagons. Voigt established the GIBC to make it faster and easier to transport his draft horses to and from his farm, as well as to open the island to automobiles. In 1913, Grosse Ile (then part of Monguagon Township) had a population of less than 1,000 and did not have the financial resources to build a bridge. 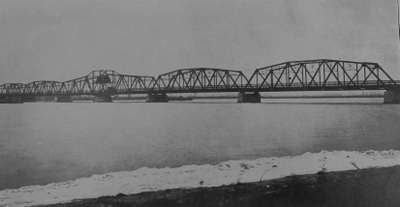 Wayne County had no interest in building an automobile bridge on the north end of the island. As a result, local residents strongly supported Voigt’s plan to build the Toll Bridge which was the only viable plan at the time to establish a span connected to the mainland capable of carrying vehicles. Stewardship for the Toll Bridge and ownership of the GIBC passed from Voigt to his descendants. The current president and owner of the GIBC, Paul J. Smoke, is Voigt’s great-grandson. Over the years, the GIBC has completely renovated, and significantly expanded, the Toll Bridge. The GIBC has also had to perform major repairs to the Toll Bridge as a result of a large section of the span being hit by lake freighters in 1965 and 1992. 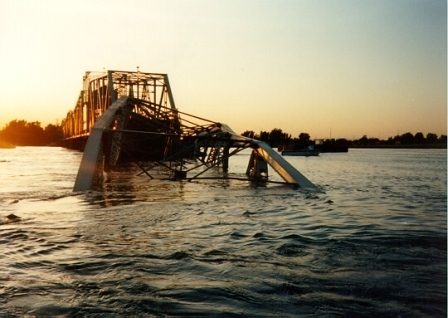 Despite the magnitude of the damage caused during the September 1992 accident when the H. Lee White self-unloading bulk freighter knocked a section of the span into the river, the Toll Bridge was back in full operation by January of 1993. The GIBC replaced the bridge deck in 1986 and built a new central swing bearing in 1994. During 2005, the GIBC opened a toll plaza in Riverview which greatly increased the traffic flow capacity of the span. 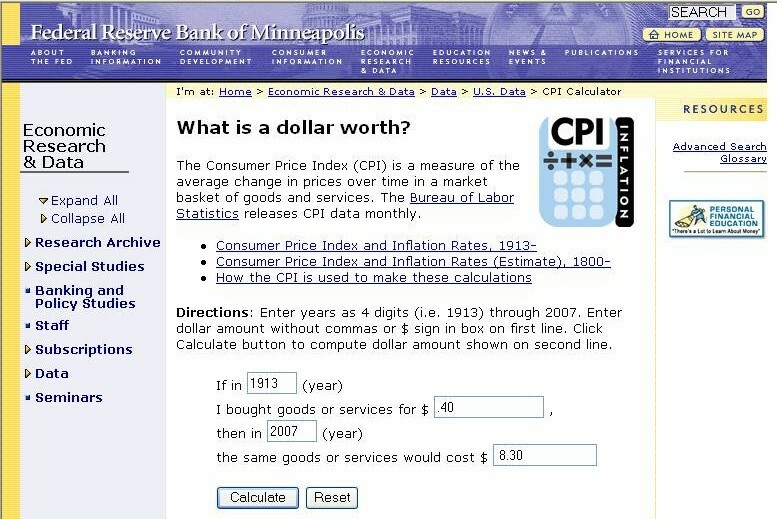 Funding for major improvements and normal maintenance is generated from the user fee toll charged by the GIBC. The GIBC has never received nor used taxpayer money to operate or maintain the Toll Bridge. There are three different user fee toll rates for automobiles crossing the bridge one way: $2.00 per trip with a Bridge Pass, $2.30 per trip with a GIBC token and $2.50 with cash. The combination of the GIBC’s major repairs and improvements has given the Toll Bridge a life expectancy that will long surpass its 100th anniversary in 2013. 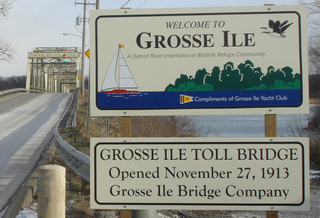 The GIBC has received numerous awards praising its maintenance projects for the Toll Bridge from prestigious Michigan-based and national infrastructure and engineering organizations such as the American Society of Civil Engineers, American Consulting Engineers Council and Consulting Engineers Council of Michigan. 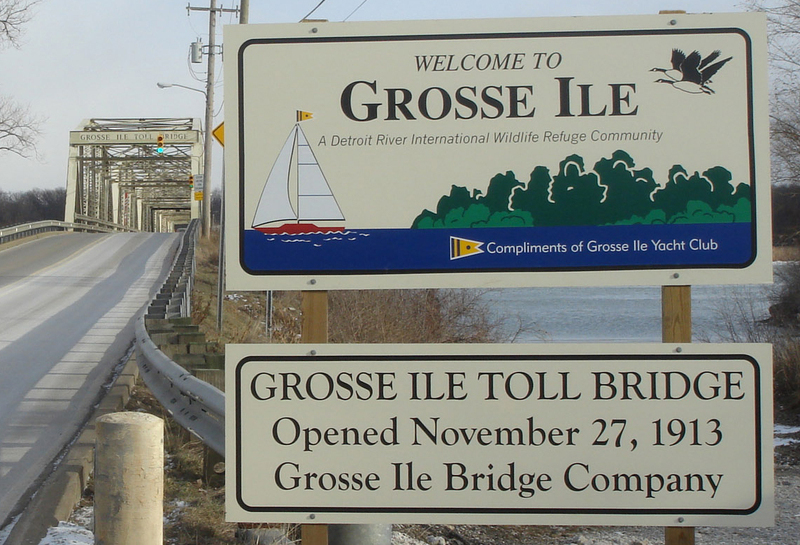 Today, approximately one-quarter of the daily vehicle traffic traveling to and from Grosse Ile crosses over the Toll Bridge. 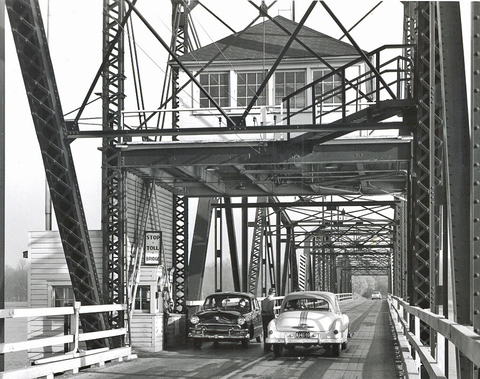 During much of 2007 when the Wayne County Bridge was closed for major repairs, the Toll Bridge provided the only means of traveling by automobile to and from the island. “Smoke Speaks”, Ile Camera, July 21, 2006. 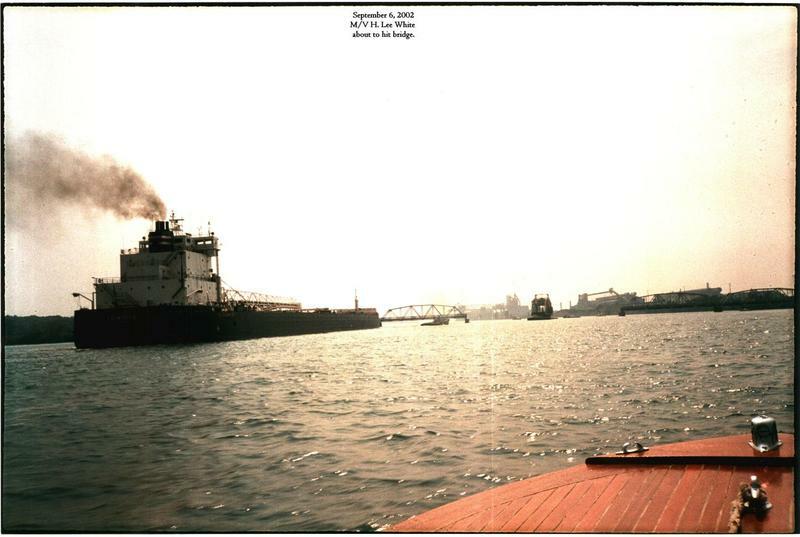 Karmazin, Nancy G., ““Quick History of Grosse Ile”, 1999.
bridge upon payment of street car fares. 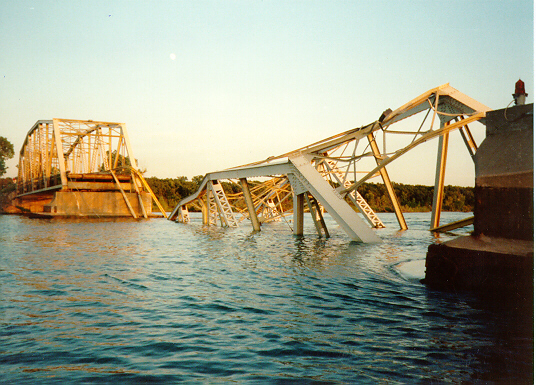 Despite the magnitude of the damage caused during the September 1992 accident when the H. Lee White self-unloading bulk freighter knocked a section of the span into the river, the Toll Bridge was back in full operation by January of 1993. The H.Lee White before it hit the Toll Bridge. Note that the bridge’s swing span is wide open. The damage done by the H.Lee White (picture courtesy of Greg Kish). GIBC Founder and President Edward Voigt Owned 1,747 of the 1,750 Stocks Shares Originally Issued on May 1, 1912.